Have you always wondered what it’s like to breathe underwater? If you want to try scuba diving, but aren’t quite ready to take the plunge into a certification course, Discover Scuba Diving is for you. You can try scuba close to home or while you’re on vacation in the Dominican Republic, while not a scuba certification course, Discover Scuba Diving is a quick and easy introduction to what it takes to explore the underwater world. After the confined water session, get ready because you are headed out for a real dive! With our Discover Scuba Diving program we will take you to a maximum depth of 12 meters, but remember this is up to you and your level of comfort. Let you first experience in the underwater world be unforgettable with Coral Point Diving!If you really enjoy this course your experience may count toward your PADI Open Water Diver course. The PADI Open Water Diver course consists of 3 main portions: Knowledge Development, 5 Confined Water Dives and 4 Open Water Dives. You can choose one of three ways to complete your course. You can get PADI certified with us in a few days only. 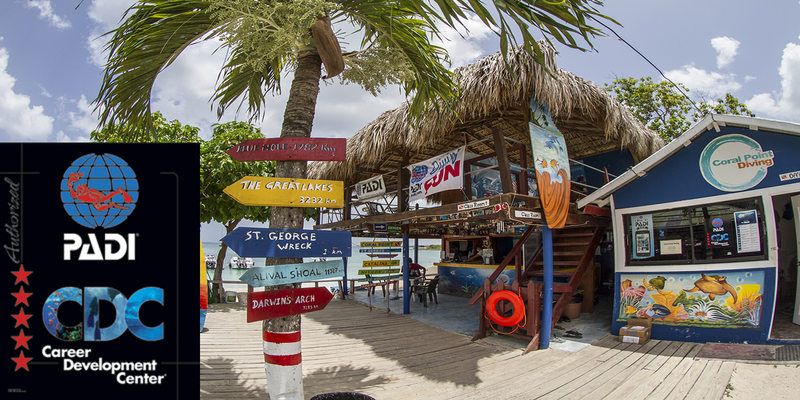 All diving courses with Coral Point Diving include all PADI educational materials and free equipment rentals. Price: The price for the classic PADI Open Water Diver Course is $350 US$ and includes your book, all of the dives, including the boat dives, the equipment, certification fees and logbook. The course is done over 3 days. With the new PADI digital products available from PADI now you can receive the digital version of the Open Water Manual immediately. We just need a Down Payment of $100 that will be deducted from the total amount due when the course will be completed here in the DR. More and more student are opting for this option since it is also eco-friendly. Just let us know. 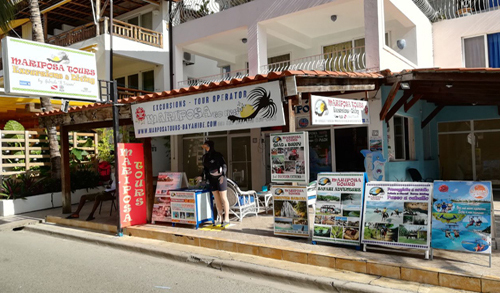 With the PADI system of diver education, you can start your course at home and then complete it here in Bayahibe, Dominican Republic, with Coral Point Diving. We often receive referral students who have completed their theory and pool training in cold winter locations such as United States or Canada, just leaving the 4 Open Water Dives for the warm waters of the Caribbean. All you need to do is bring your referral paperwork to us and sign up for 2 days diving in the warm waters of Dominican Republic. Price for 4 open water referral dives including equipment and certification fee is $ 200. The PADI Scuba diver course is a two day course which includes an overview of dive theory, essential dive skills and knowledge of equipment. 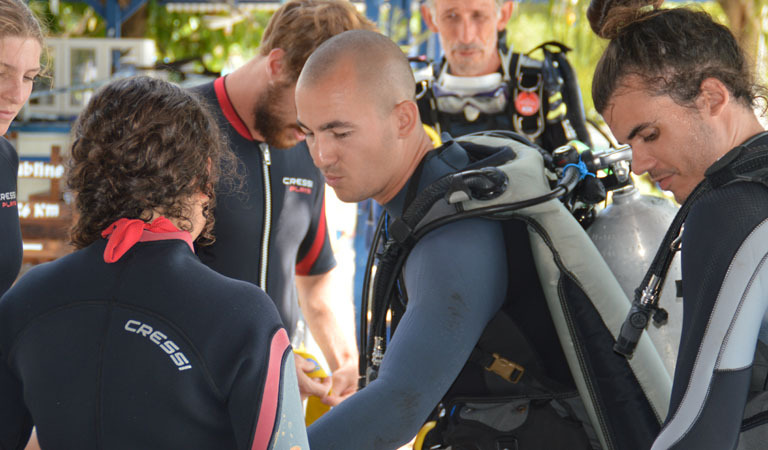 Your course begins with your dive theory classes with all learning materials included, you will be guided through the learning process with a professional instructor and then ready to hit the water! After your dive theory class, introduction to dive equipment and your confined water session you will be ready for 2 open water dives. The price for this course is $250 and includes educational Material, equipment rental and PADI certification fee. Prices include also educational material and certification fee. Our web-site is designed for direct online bookings. Be sure to guaranty your reservation by booking online. With the new PADI digital products you can receive the digital version of the PADI Manuals now. Don't waste time during your vacation, start your course before you arrive. Nous vous recommandons de réserver votre place à l'avance afin que nous puissions vous garantir une date de début spécifique à votre calendrier. S'il vous plaît envoyez-nous un email pour vérifier notre disponibilité. Nous acceptons les Euros, US $, Pesos dominicains et Paypal comme moyens de paiement. Coral Point Diving est le seul centre de plongée à avoir une base directement sur la plage de Bayahibe au centre-ville pour vous accueillir en privé loin des foules du matin. Vous nous trouverez à l'intérieur du célèbre Barco Bar, à seulement 5 minutes à pied du Dreams La Romana Resort. Nous sommes également situés dans la zone piétonne en face de l'hôtel Viva Dominicus Beach and Palace où nous avons deux bureaux de réservation. Le premier bureau s'appelle 'Mariposa Tour' et il est situé sur la gauche, en sortant de la porte du Viva Dominicus Palace. Le deuxième bureau se trouve juste en face de la porte Viva Dominicus Beach et s'appelle 'Bayahibe Caracol Tours'.